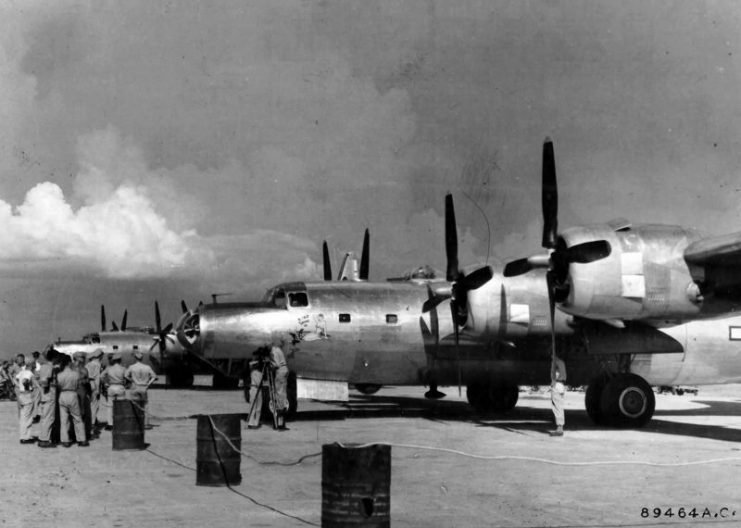 Many history buffs will be familiar with the B-29 Superfortress, which is perhaps best known as the aircraft which carried the atomic bomb during the attacks on Hiroshima and Nagasaki. 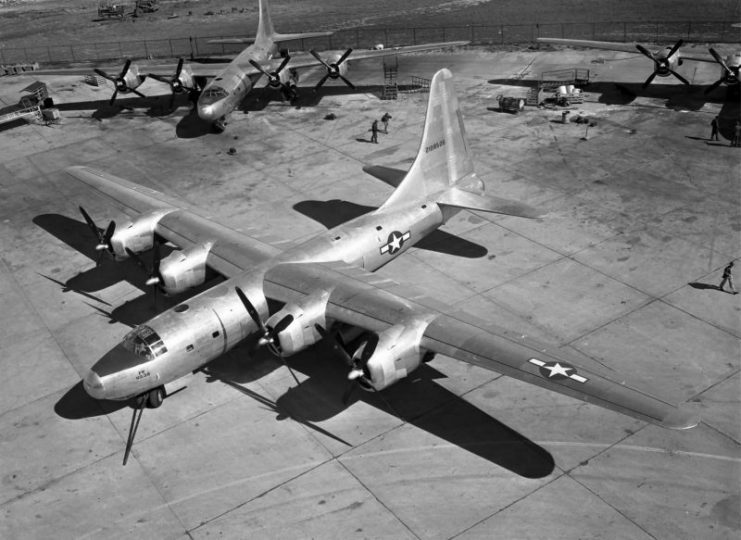 However, not many will have had the chance to hear about its little brother: the Consolidated B-32 Dominator. 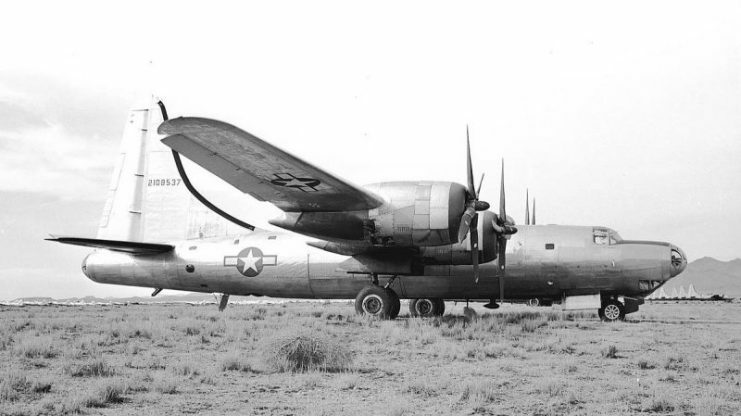 The Dominator was actually devised as a backup plan for the Superfortress, in case the single-most expensive aircraft of WWII failed to meet the requirements. 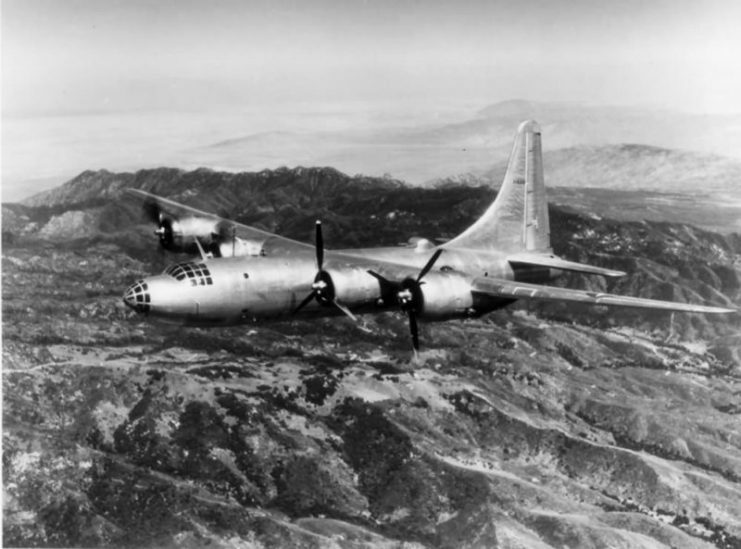 When the B-29 proved its worth, the Dominator entered service rather late during the war, meaning that it didn’t see any action until mid-1945. 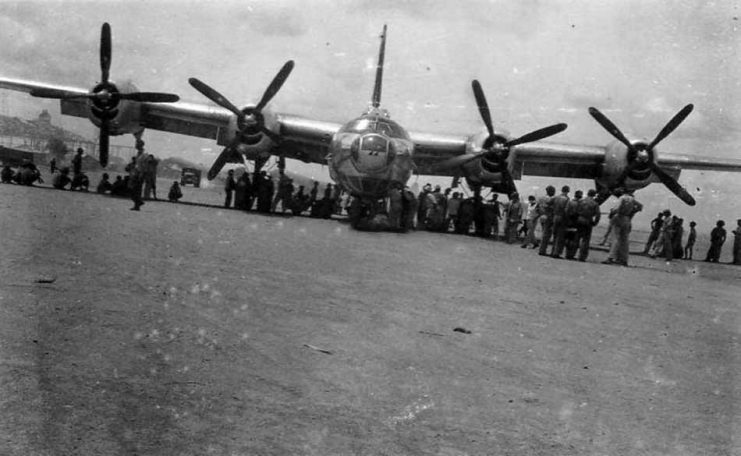 The Dominator first arrived at the Pacific Theatre as part of the 312th Brigade’s 386th Bombardment Squadron, where three of the bombers conducted raids on Japanese targets on the island of Formosa (today’s Taiwan). This was the final stage of testing, after which the crews reported backs on the pros and cons of the aircraft. 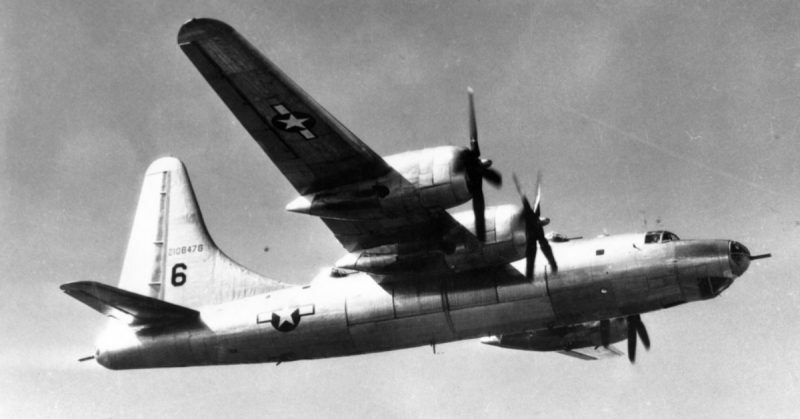 The plane featured unique reversible-pitch inboard propellers, together with the Davis wing, allowing high speed, a good lift during low-angle attacks, and excellent landing performance. On the other hand, the flaws weren’t exactly negligible. The cockpit had a poor instrument layout, while the aircraft was making too much noise inside. Visibility was also impaired, and the nacelle design caused frequent engine fires. On top of it all, the aircraft was just too heavy. Nevertheless, it passed the test and was perceived as a well-balanced bomber plane. 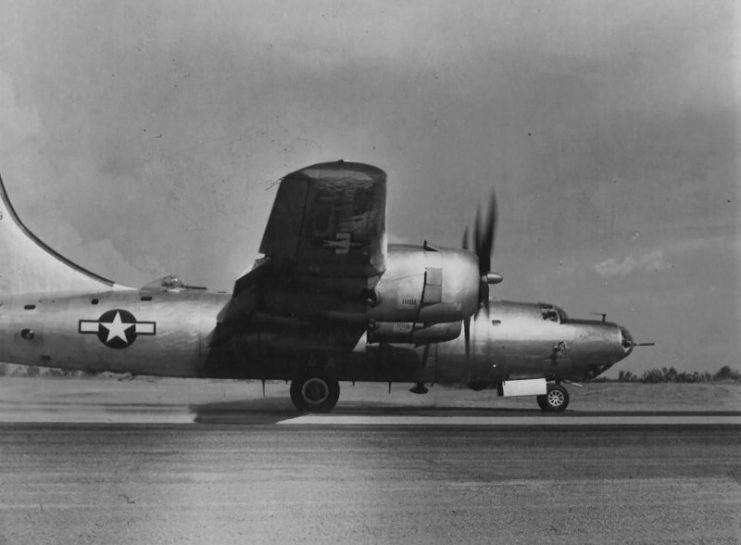 It was capable of conducting air raids against the Japanese, whose army was a shadow of its former glory by 1945, especially when it came to air power. 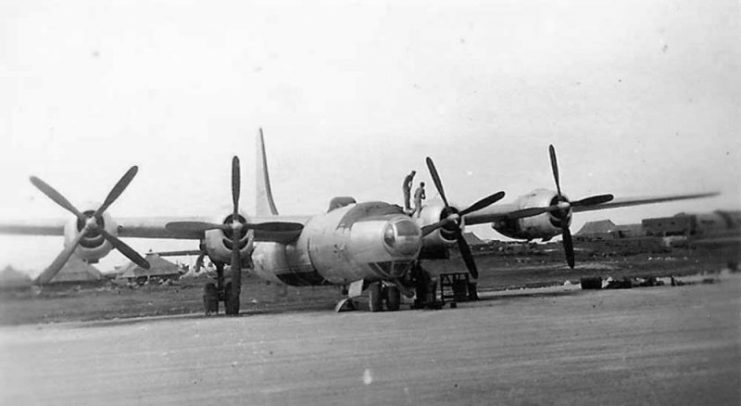 After this successful streak of missions, the B-32s of the 386th Bombardment Squadron were back in action in July 1945, with six more bombing missions under their belt before the end of the war. However, by August, they were exclusively conducting reconnaissance missions and aerial photography. 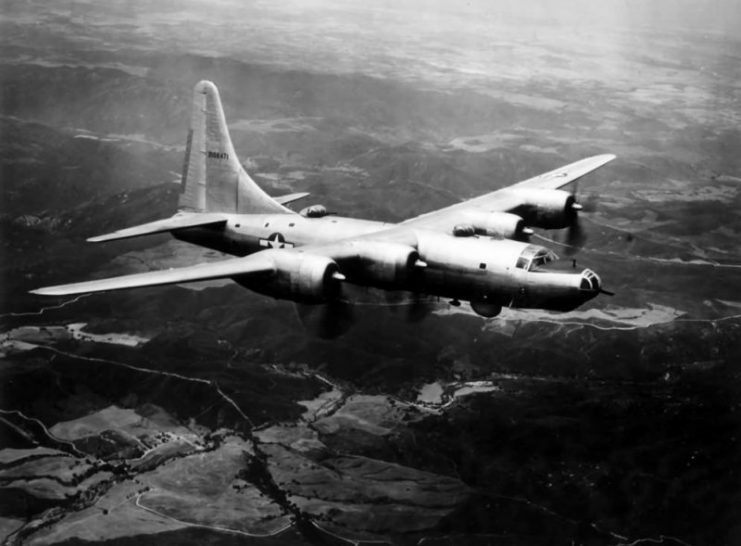 The role of the B-32 at this point was to monitor the effectiveness of the ceasefire which came into effect on the 15th of August. 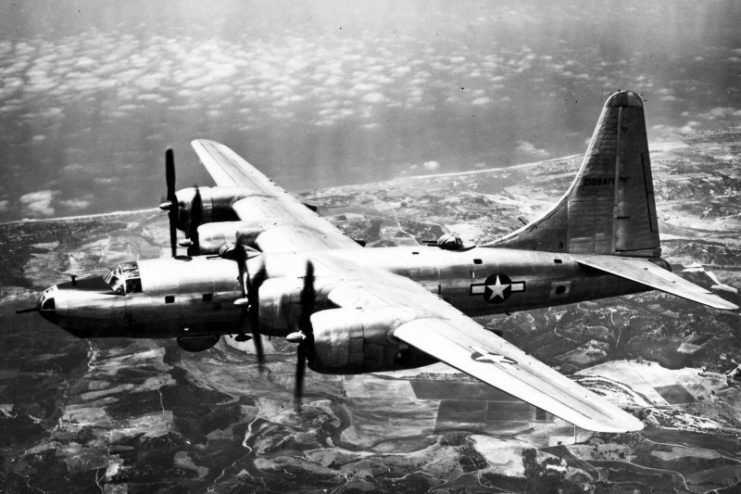 Although an official ceasefire was declared, the B-32 were attacked by renegade pilots on at least two occasions above Tokyo ― on August the 17th and August the 18th. During these clashes, however, neither of the parties involved suffered any casualties. 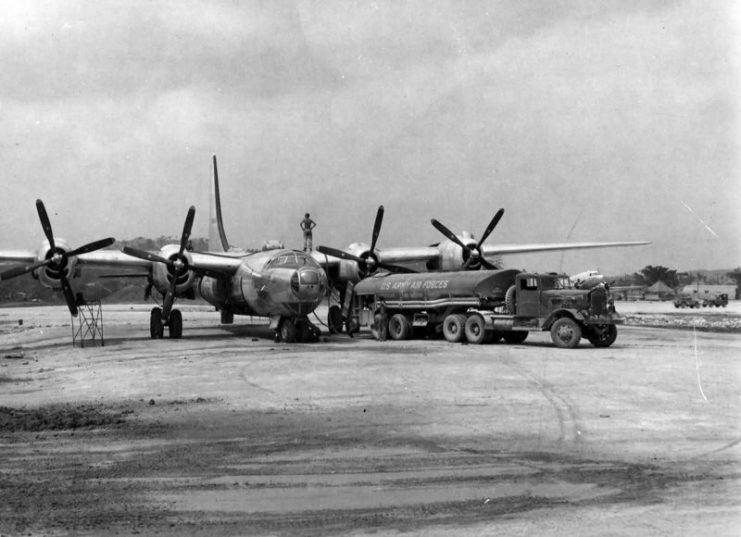 Just two days before the official surrender of Japan, the B-32 Dominator was retired. 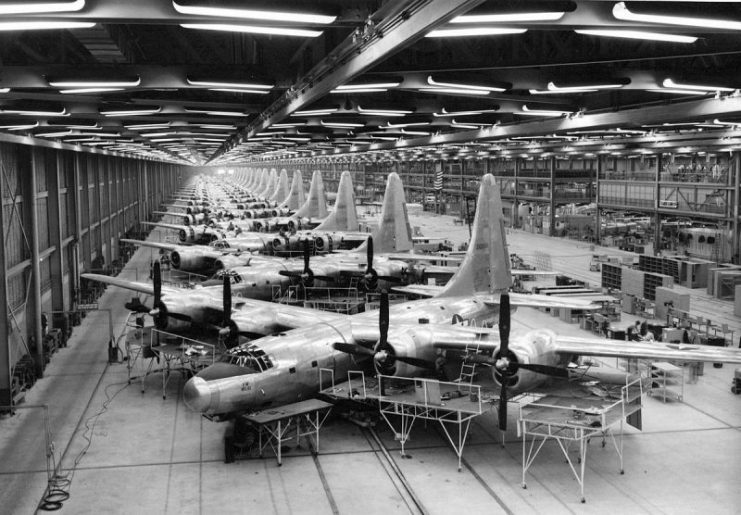 All orders were canceled, and many of the functioning aircraft were sent to scrap. 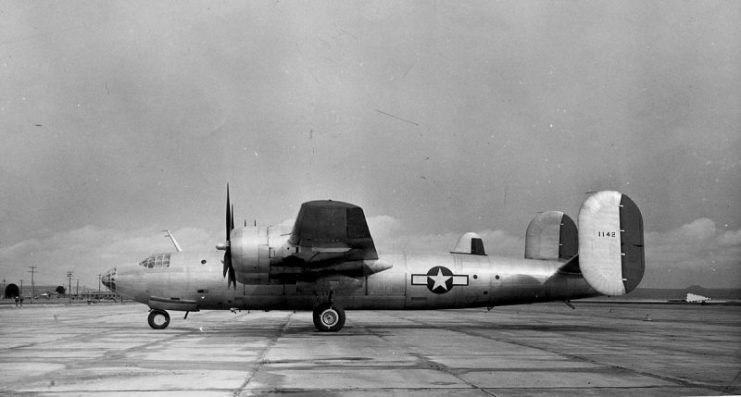 Having been active in use from the 27th of January to the 30th of August, it was one of the shortest-serving aircraft in U.S. history. 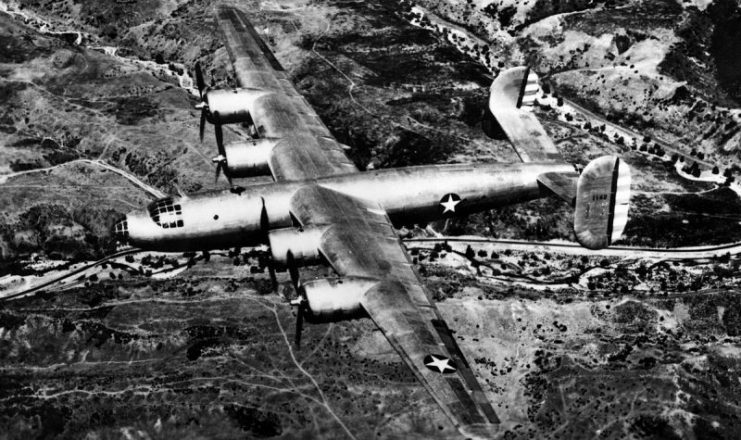 Consolidated XB-32 Dominator in flight. 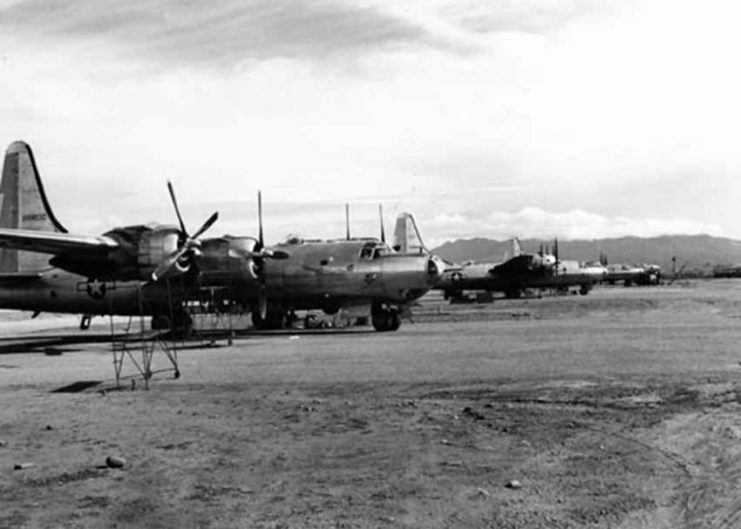 B-32 Dominator in Kingman, Arizona, 1947. 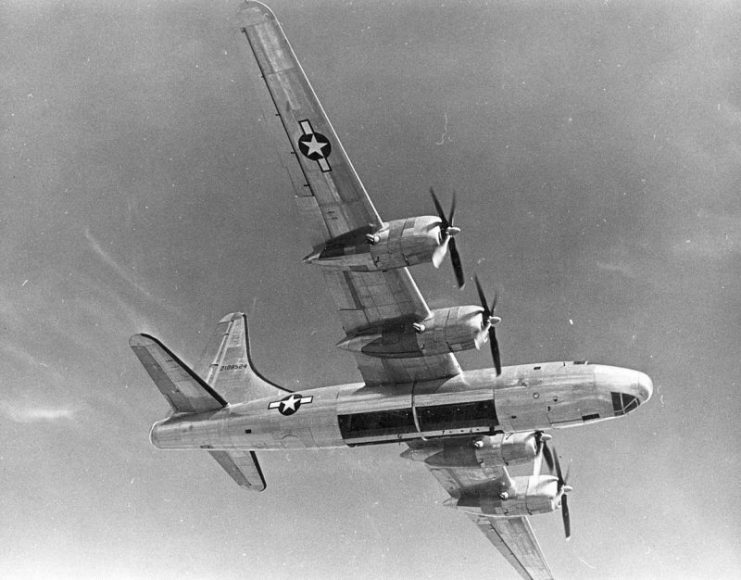 B-32 Dominator: 3rd prototype XB-32 41-18336 in flight. 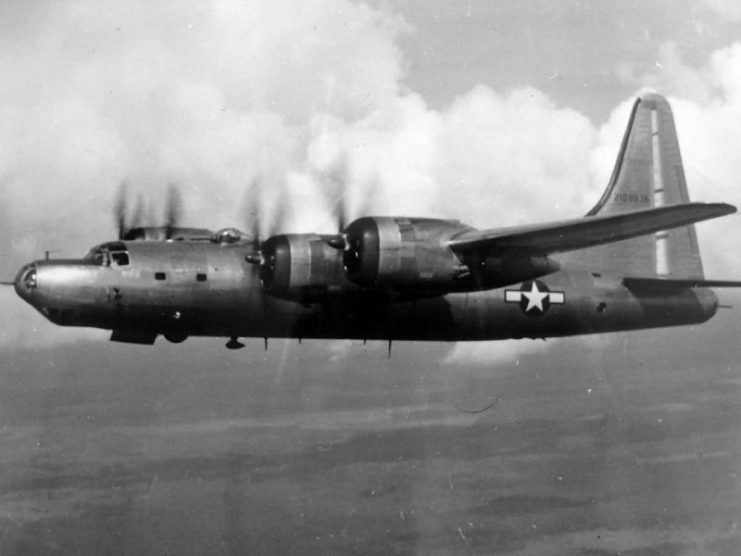 B-32 Dominator 42-108536 in flight during World War II. 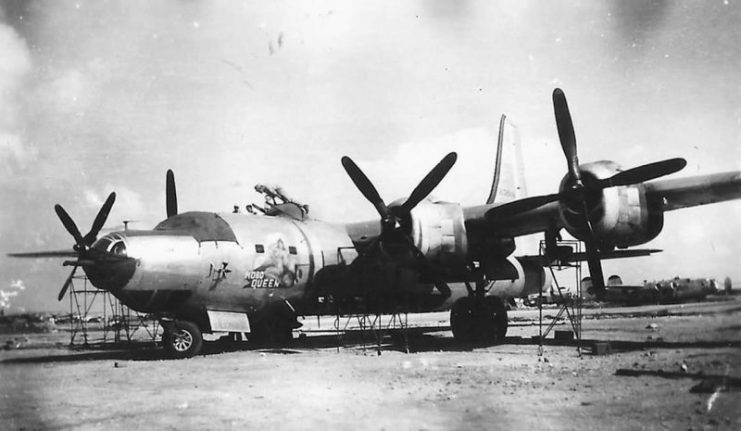 B-32-1-CF Dominator serial 42-108471, August 1945.